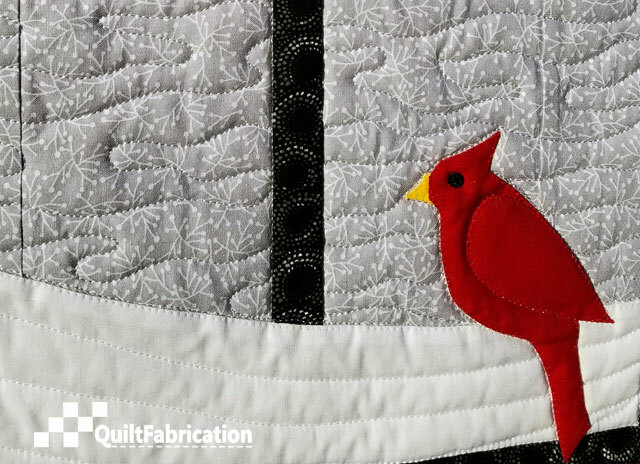 Introducing my latest quilt creation, Winter Feed. This one has quickly become another of my favorites for the year! Why's that? Because it's a bright, cheerful celebration of winter, with food bringing everyone together, including birds. 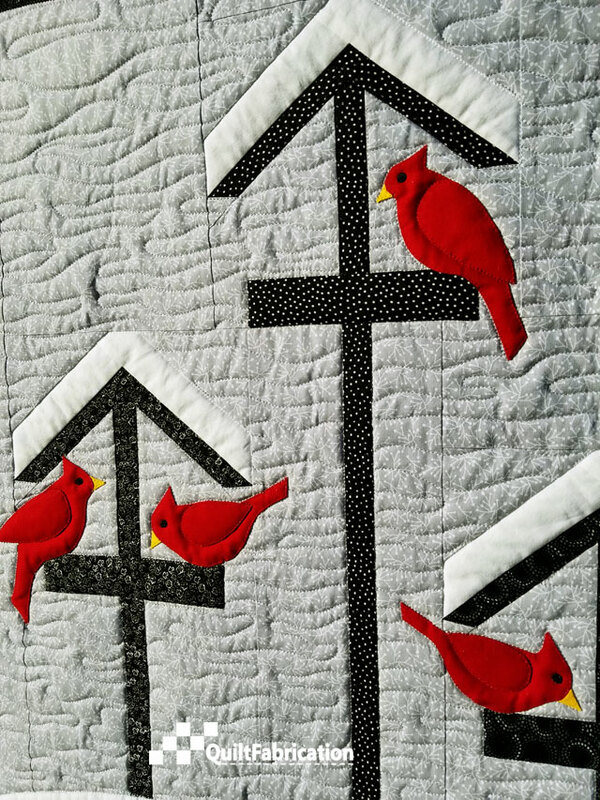 I love everything about it - the simplicity of the bird feeders, the fresh snow, and the beauty of the red cardinals. Plus, I get to view it for at least two months, because this celebrates winter, not a holiday. That's my kind of decoration! and the bird in the snow. These two are busy on this feeder, with one looking like he just landed, and the other busy eating. While this guy looks like he's full, and just checking out the scene. This one is pecking away, while his buddy takes it all in - he's considering eating what's dropped from the feeder. One way or another, they're happy to be together, and grateful to have seed to eat. Isn't the company of friends and good food during the holidays what it's all about? I, too, will have the joy of food and friendship over the next 10 days. 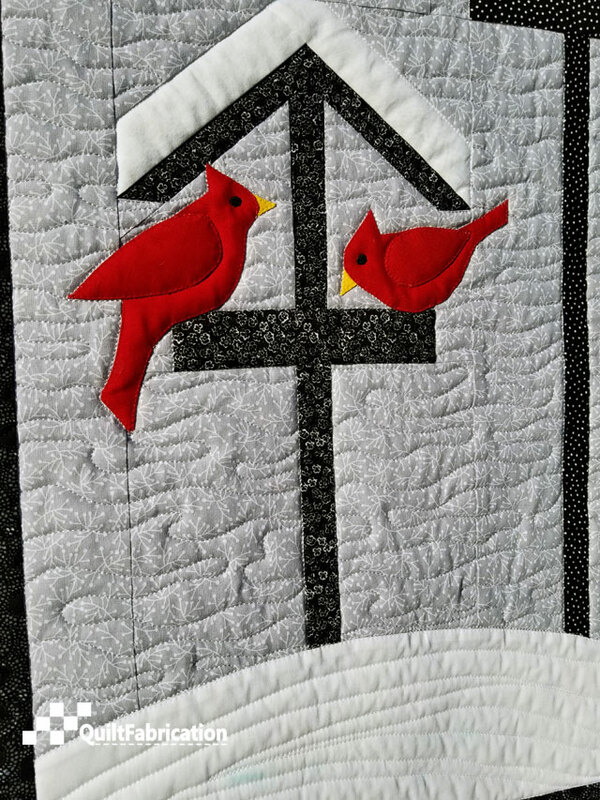 So much so, that it delays the pattern release for Winter Feed, which will be both the full pattern, and the bird feeder block/applique birds. I'll keep you posted when it's available - look for it in January! 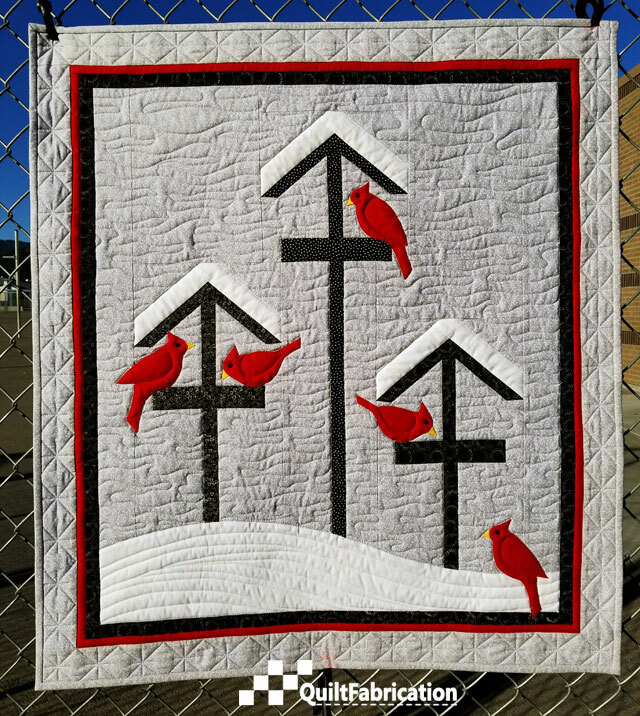 love the cardinals - a nice winter quilt! You have a winner here, it is just wonderful! 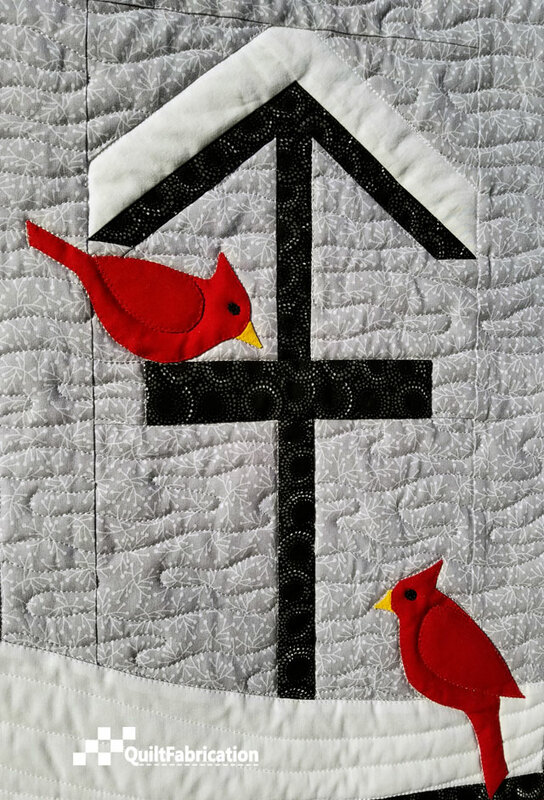 Seeing bright red cardinals against a fresh blanket of white snow is one of my favorite things about winter. They are just lovely little pops of color against a gray backdrop. 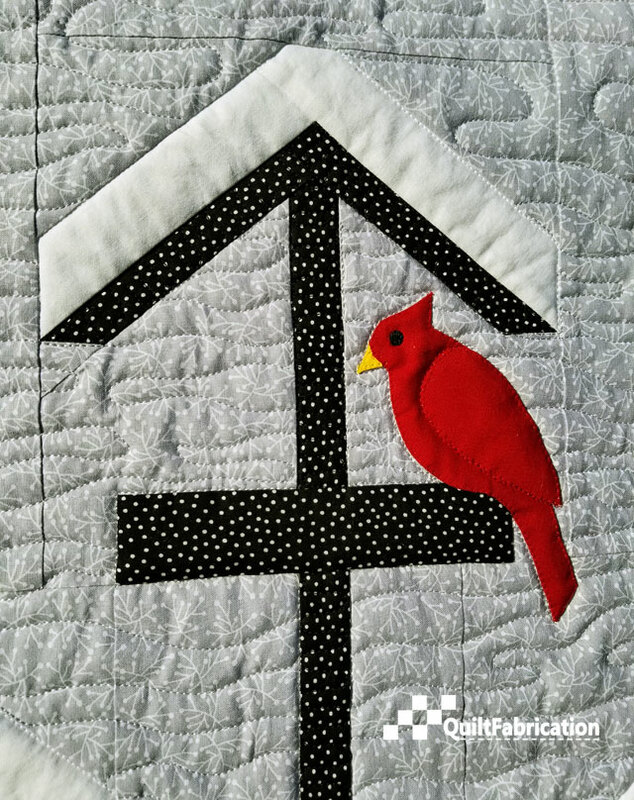 Congrats on your new pattern! Hope you have a wonderful Christmas! That is beautiful - such nice clean lines and a fun design. Oh, I love this! I will certainly be watching for the pattern release.